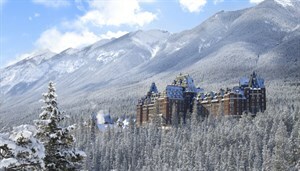 Look for us at the Banff Venture Forum at the beautiful Fairmont Banff Springs Hotel in the spectacular Canadian Rockies. Christian T. Blackwell from Opus Faveo Innovation Development will be speaking on Friday morning's panel, Deal Syndication and Sourcing Capital: The Cross-Border Advantage. It should be a great session, with other panelists from Intel Capital, GE Ventures, Novus Energy Capital, Azure Capital Partners and Bennett Jones. Stop by afterwards and say hello!